The DWP did not fair well in other parts of the social security system with further widespread maladministration affecting tens of thousands of ESA claimants who have missed out on disability premiums, and a misguided attempt to restrict PIP through regulatory change which backfired and had to be removed with further numbers of claimants now waiting to be compensated. There are probably years ahead of ensuring that vulnerable people who were incorrectly paid or refused benefit are identified and supported to claim all they are due. This work is already underway at the Unit. The need for organisations to undertake complex casework including representation was once again underlined by two stark statistics recently released; legal aid funding for welfare benefits cases is now 1% of what is was in 2010/11 and the rapid rise in benefit appeals has outstripped the Tribunal Service’s ability to recruit and train sufficient numbers of panel members according to the Social Entitlement Chamber President. 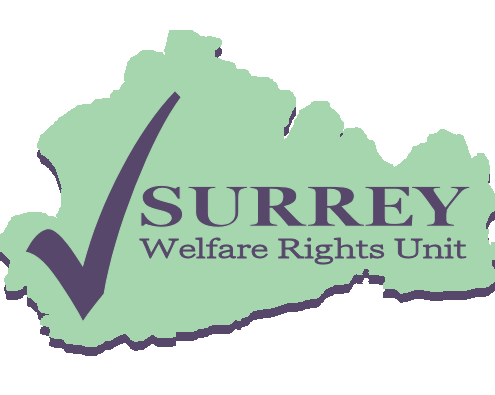 During 2018 Surrey residents will face further complexity with the introduction of Universal Credit across the County. With UC comes a whole raft of new labyrinthine rules, especially for workers. These include minimum income floor rules, surplus earnings rules and transitional protection for claimants who will be migrated. Surrey families will also be affected by the planned roll-out of the highly controversial 2-child limit to benefits. An estimated 2m children will be affected by this rule by 2020, undoubtedly leading to pressures on other statutory services.